Book Two of our Earth Colony Chronicles, The Colony & the Crown, is nearly in the bag! YAY! More than one reader demanded to know what happened to Cal’s treasure box and its contents, but hey, Book One isn’t Cal’s story. Book Two is, although writing it took longer than we anticipated because Cal is Cal and headstrong, as always. Corralling that child required some deft handling, I can tell you. However, she led us down some interesting paths worthy of exploration and, in some cases, inclusion. We had, originally, hoped for a spring release, but now, we’re looking at fall. We want a face-to-face with our cover designer, and frankly, it gives us some breathing space. 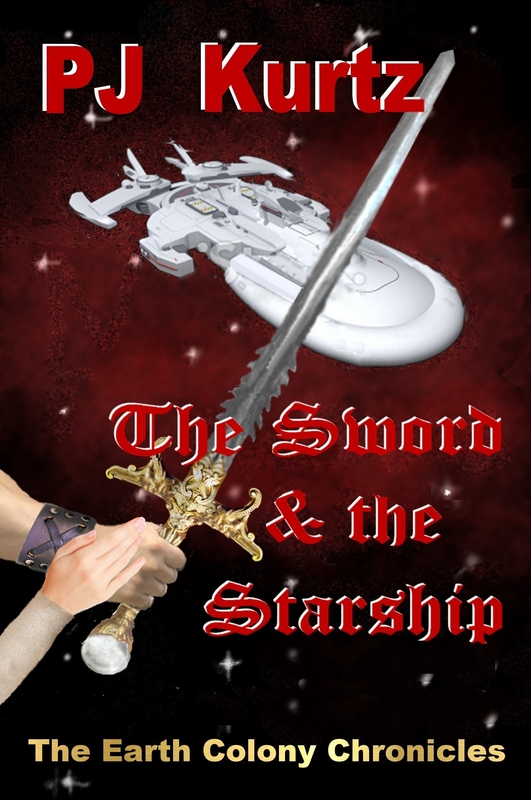 For those who might be interested, The Sword & the Starship, Book One of the series, is now available through KDP Select. Not the original plan, but we’re pantsers and making things up as we go is what we do. We’re thrilled to, finally, bring you Cal’s story. That girl has a lot of growing up to do, and what she faces on EC5 jeopardizes not only her future but all she holds dear, putting the maturation petal to the metal in a big way even as she discovers, sometimes, what meets the eye isn’t all there is to be seen. This blog is cross-posted from the alter-ego page. Warning: This blog is being written in the No Edits Zone. Grammar and Spelling Nazis, proceed at your own risk! After months spent fine-tuning the SFR (a cautionary tale in and of itself), I’m finally back to my Merlin Series. Gotta say, making the transition has been difficult. Worse, despite the multiple GH nods the first two Merlin manuscripts received, looking at them now makes me wince. Why? Good question. I can’t put my finger on it, but I’m not a happy girl. Part of it could be my writing style. I write without plan–a mode of operation commonly known as pantsing and not recommended to anyone unwilling to part with his or her sanity–and hammer blithely away, often following characters down strange paths or mysterious rabbit holes with no idea where they lead. It’s fun, exciting, and often wonderfully liberating, putting things in place that I don’t even know I’ll need until I get to the place where I do. The perfect example is in TS&TS. Cal receives a box containing a book and a map. The book is unimportant to this story, and we had no idea what it was or why it showed up. Still, something said keep it, so it’s in there. Starting on book two, it hit me EXACTLY what it was, where it came from, and why it’s important. Love it when that happens. Those moments are rare, however. What isn’t rare is the major pain in the gluteous maximus most people call editing. I wrote the book. I know the story. I want to move on and write the next one. But no. To publish, one must edit. And that’s where I am at the moment with The Seer, Book 1 of the Merlin’s Prophesy series. Here’s the thing: There’s a fantasy element to the story (considering the series’ name, that should come as a shock to no one), and that element is revealed in small ways throughout. I’m not writing Swords and Sorcerers. I’m writing men and women caught in a web spun nearly a thousand years past. I’m thinking I need a prologue, else those elements would just stand out as odd rather than pertinent or revealing. My original idea was an epilogue with Merlin discussing what was yet to come, but my CP nixed that, claiming she’d found the inferences in the story distracting without a frame of reference. Prologues have become unfashionable over the years, and if the characters knew of the prophesy, it wouldn’t be an issue, but they don’t. They are pawns in a game they don’t even know is being played. That leaves a prologue or scenes with Merlin observing and making comment. Not keen on the whole hovering specter/disembodied commentator idea, though, especially considering what needs be revealed. To my thinking, the action will come to a screeching halt for a bit of explanatory rumination. Doesn’t sound like a good solution to me. What do you think? I know I’ve provided few details, but the story is still in the–*groan*–editing/refining stages so things could change rather drastically between now and publication. Dashing reader expectations makes friends for no author. How do you feel about prologues? Do you think they have a place? Or do they turn you off before you read page one? Updates are also available on Smashwords, Nook, and for those like me who prefer paper, CreateSpace. My cover designer and friend thought the original cover looked muddy in the thumbnail version, so she took out the lovely red nebula. I have to admit, it looks cleaner without the reddish mist. The original version is in an earlier blog. What do you think? If you want to know how the book came about, you can check out the story of our collaboration here. Updated cover versions are available at Amazon, Smashwords, and Create Space for those who, like me, prefer an actual book. B&N should be available soon. Dain tensed. She be nearby. Not another like her. Her. The hot, prickling beneath his skin announced her presence with all the subtlety of a blade in the gut. Profound relief flooded him, but only because he would not be forced to seek another who could not be seen to learn the secret of her concealment. He kept his head down, seemingly intent on prying loose a medicinal tuber while his gaze scoured the area. He found only his own meandering paths in the tall greenery. Tucking the liberated root into the sling resting at his hip, he stood, every sense attuned to the sounds and movements around him. He ground his teeth and pretended to study his mother’s drawings, grateful she and her apprentices attended a birthing, leaving him to gather the roots and flora her calling required. As a wee lad, he had often accompanied her as she sought the things the One provided for their ills, so unlike other warriors who escorted maidens to the meadow, supposedly to guard but, more often, to steal a kiss or two, he could see the task accomplished. Performing the small chore had an added benefit; it provided a valid excuse to escape the caverns’ din and constant interruptions when he needed to think. This day, however, he had not sought solitude, and what he did seek had just found him. I’m proud to announce the arrival of a beautiful new baby book! A bit of grunt work, and it will be available in print and other e-book formats as well. On to Cal and Nathan’s story. Yay! Valara & Gordain’s story is one week away from publication! We’re so excited to finally share their tale with you. 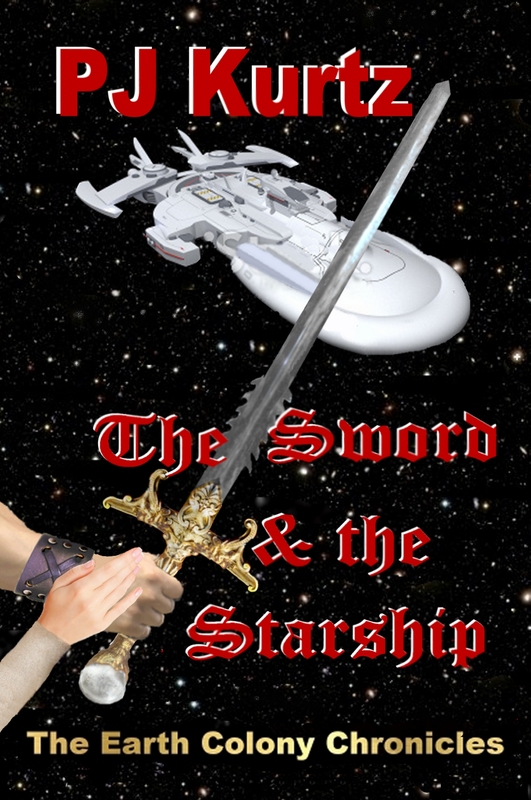 Genetically engineered to blend with a sophisticated, aristocratic world, Valara F’al-ten awakens from her hibernetic sleep in an uncharted star system, orbiting a planet rich in resources Earth Colony 5 needs, but how does one negotiate inter-galactic trade agreements with a society that still wields swords? Thanks for stopping by. Check back later for info on our publication date.